It takes a while for Gabriel Royal’s musical style to strike you. His songs build up slowly, the arrangements between his singing and cello playing pulling you in and… you are hooked. You might think that’s too long of a time to pay attention to music nowadays, then think about how it took Gabriel five years busking on the New York city subway to finally get noticed and have his first album recorded. 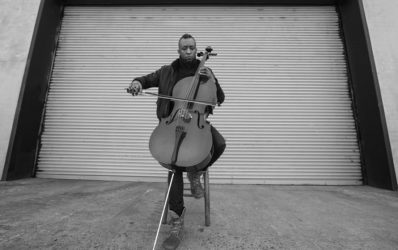 The album’s first video for the R&B infused “Say It’s Right,” directed by Blake Farber, is a delicate and intimate portrayal of Gabriel’s unique way of singing over his own cello playing. This is not music for the Vine generation, forever seeking instant gratification. These are songs that grow with each listen, expanding its power inside of you. The son of a musician, always having a piano, guitar and drums around the house, Gabriel Royal began singing in his diapers in Muskogee, Oklahoma, making songs to sing for trees, according to his mother. A certified visual art teacher, Gabriel Royal started writing music with friends just for fun, not with a music career in mind. It wasn’t before one of his best friends, fellow musician Johnny Polygon, forced him to go on tour with him in 2011 that Gabriel saw the possibilities in front of him. Back in New York, he decided to play in the subway a lot more. “I was dead broke and saw a subway musician playing while I was on my way home with one dollar in my pocket. He was a pretty crappy artist and I felt like I could do better, and this guy had $20 in his bag. That was twenty times as much as I had at the time. So I went home, got my cello, came back to the subway and took a chance. The first night I made $30 and every time I’ve been back since I’ve made more,” says Gabriel. Continuing the process of being bullied into his music career by friends, Gabriel met Beto Landau, who was instrumental in Gabriel taking recording an album seriously. 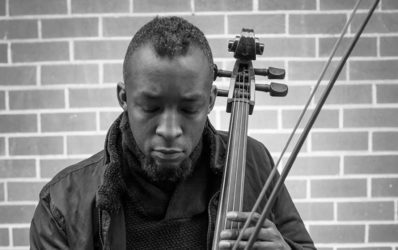 Having never written or arranged anything on or for the cello before, usually doing it on the piano, the instrument came around the same time he started busking. Influenced by Stevie Wonder’s groove to Burt Bacharach’s relaxed, jazzy yet poppy sensitivities, including outcast contemporary artists such as John Legend, Hiatus Coyote, Flying Lotus, James Blake, Jangle Monae and Thundercat, Gabriel’s trademark sound is his singing over a cello, the result being an easy listening modern chamber pop. Gabriel Royal was produced, engineered and programmed by Matthew young and Grant Wheeler and recorded at Landau Audio Design, in Brooklyn. Gabriel plays throughout the album, which also features Tracy Bonham on violin, and Jake Cohen (bass) and Charlie Ferguson (drums) on “Morning Baby.” The drum sessions for “Get It” and “Morning Baby” were engineered by Tom Tierny at Spaceman Sound Brooklyn and Rob Murray did the mastering. The artist is represented by Columbia Artists.